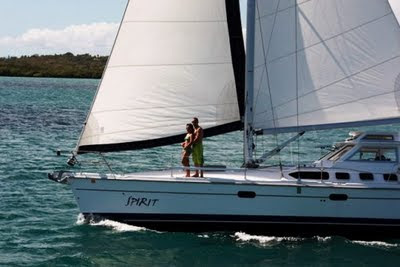 Come Sail on Spirit at a $250 discount on all reservations made between now and December 31st 2011. Dream, relax and explore the beautiful sights and treasures of the Spanish, US and British Virgin Islands year round aboard Spirit with Captains Tim and Angela. Drink and dance under the stars or in the glowing light of the moon. Enjoy Spirit’s unlimited house champagne, wine, beer and specialty drinks.